After reviving her family's farm from the leaf rust epidemic, Maritza Colindres is committed to sharing knowledge about coffee agronomy with her children and her community. Photo courtesy of Douglas López Fotografía. Maritza Colindres has known coffee her whole life – from picking coffee cherries with her mother at age 6, to her first job working on a plantation at 13, to the day she bought her own plot of land with her husband in San Juan Rio Coco, Nicaragua. 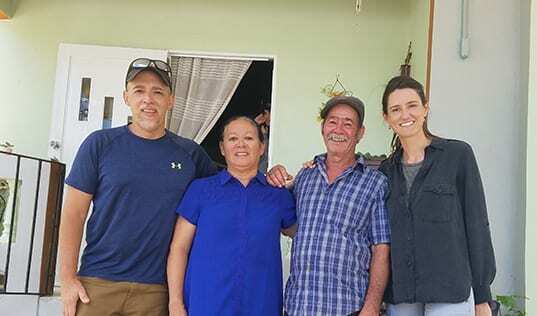 Together they worked tirelessly to build a future from their farm, learning beekeeping, planting fruit trees, and incorporating practices to keep their coffee business profitable. But when leaf rust and other diseases spread to their farm, Maritza didn’t know how they would save the future they had so carefully sown. “[The disease] left us at a loss, we could not start again,” she remembers. So when TechnoServe began training coffee farmers through the Better Coffee Harvest project – a partnership between U.S. Agency for International Development (USAID), the J.M. 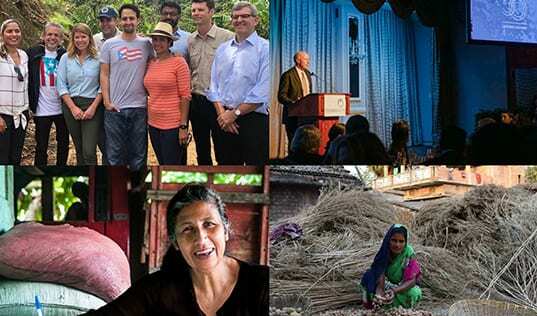 Smucker Company, and the PIMCO Foundation – Maritza quickly enrolled. Better Coffee Harvest aimed to improve the lives of 6,000 coffee farmers in El Salvador and Nicaragua – countries where coffee is a vital cash crop for smallholders, but where yields are among the lowest in Latin America and many farmers struggle to lift themselves out of poverty. The project gave these farmers the skills they needed to transform their farms into profitable businesses by training them on yield-enhancing, climate-smart agricultural practices that would boost their resilience to disease. By connecting farmers with improved access to finance and inputs, Better Harvest ensured farmers could implement these new techniques well into the future. An essential component of the program’s agricultural training was that it exclusively took place in the field. TechnoServe farmer trainers taught new techniques on “demonstration plots,” where farmers practiced and witnessed the challenges and benefits of the improved practices – many of which involve pruning or “stumping” trees, temporarily decreasing yields for long-term improvements. But by the next harvest, farmers saw firsthand how the trees came back healthier and more productive than the surrounding trees that had not received the new treatment. 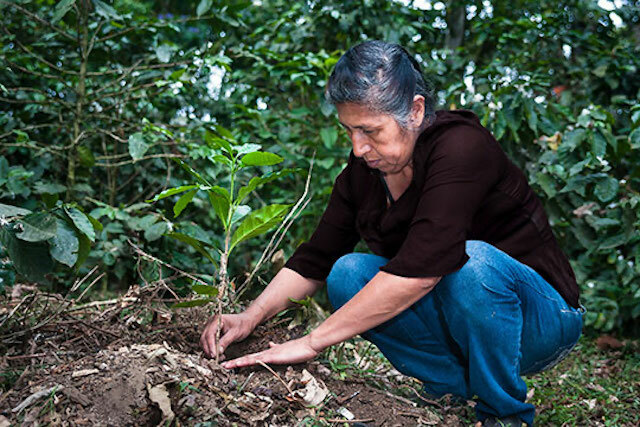 Maritza applies what she learned during a Better Coffee Harvests training while planting a new coffee seedling. Photo courtesy of Douglas López Fotografía. 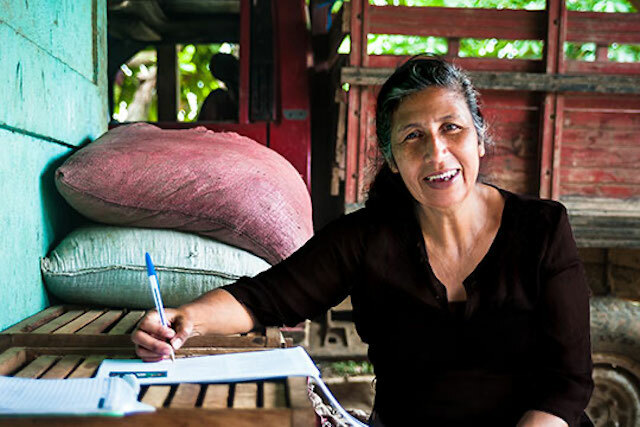 By sharing the successes and failures of her farm with the community, Maritza was overcoming a powerful barrier to profitable coffee livelihoods, not only for her family and community, but for the sector at large. In Nicaragua and El Salvador, actors across the coffee value chain – cooperatives, private mills, exporters, financial institutions, and government agencies alike – often siloed their information, reluctant to share knowledge and learnings in a highly competitive marketplace. In fact, when the leaf rust epidemic that ruined Maritza’s coffee crop – along with 42 percent of yields in Nicaragua, and 75 percent in El Salvador – started to spread, one reason for the disease’s devastating sweep was the lack of coordination between market actors, who failed to generate and share data with each other. In order to meet its ambitious targets to transform the coffee sector for these vulnerable coffee communities, the Better Harvest team knew they would have to improve cooperation and knowledge-sharing across the sector. They decided to use a Collaborating, Learning, and Adapting approach,” promoting a new culture in the industry by sharing their own knowledge and data. Read TechnoServe's case study on how CLA improved cooperation and livelihoods in Central American coffee. At the project’s outset, TechnoServe teams performed a baseline survey that they could use to compare the successes of the improved practices throughout the project, much like the untreated trees on Maritza’s demonstration plot. Better Harvest then called industry actors to a roundtable to discuss this data in an open forum. 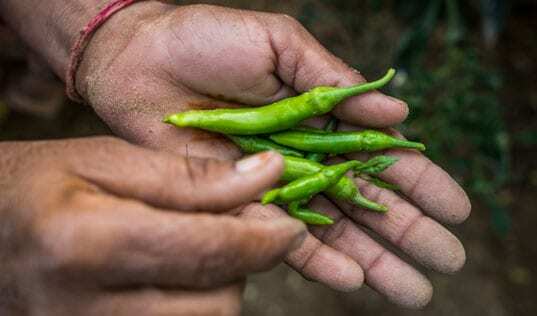 This type of open collaboration went against industry norms, but after seeing the market challenges outlined in the data, many participating organizations agreed to share tailored data about the farmers in their supply chains. Several even improved their own practices based on their learnings, while others made new market connections. The more data the project generated, the more industry stakeholders gathered to learn, discuss, and innovate within their sector. Discussions of learnings from TechnoServe’s midline evaluation spurred a cooperative in Boaco, Nicaragua to join the program, expanding the project’s geography to an entirely new region, and the national government even revised its policies based on project learnings. And by supporting farmers to implement effective agricultural techniques, and then to sell their crop into an increasingly collaborative and efficient coffee value chain, Better Harvest met or exceeded all of its targets by the project’s end. After four years, more than 8,000 farmers adopted improved agricultural practices, yields increased 44 percent, sales grew by 24 percent, and the project helped mobilize over $2 million of rural financing. Read the winning case study to see how Better Coffee Harvest applied the Collaborating, Learning, and Adapting framework for better results.